Jean will be teaching this as a class at Creative Castle in July 2012! I spent an afternoon last October, wandering around the Harvard University campus in Cambridge, Massachusetts. The rich history and power of this institution was palpable, but what really visually impressed me was the beautiful wrought-iron gates that appear everywhere around campus. I shot photos like a madwoman, determined to do a whole series of beadwork based on these gates. "Quincy Street" is my first attempt...I've got lots more up my sleeve! I love this. 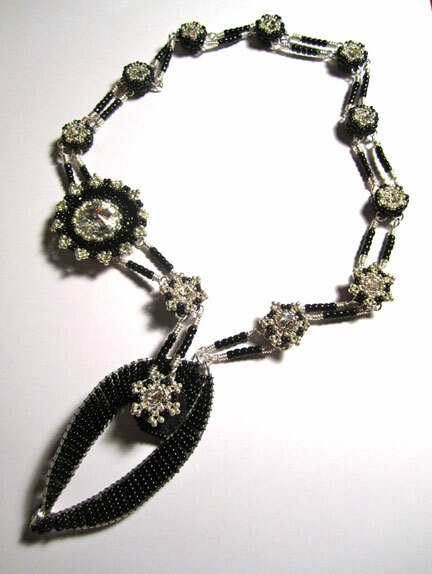 I can't imagine rendering the ironwork in seedbeads, as I already need new glasses for close work. 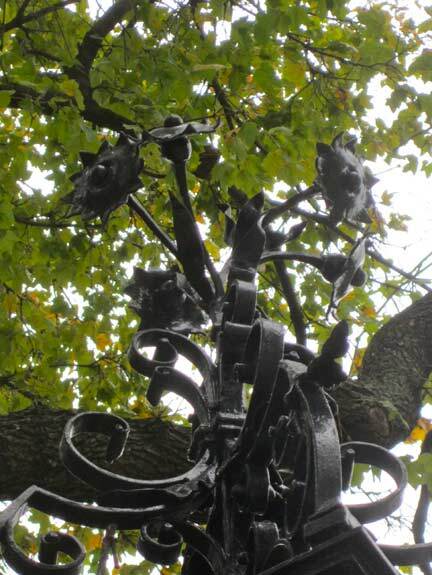 When I was in Slovakia there were similar wonderful ironworks on the old city wells. They were meant to keep you from falling in but they were certainly well-detailed and pleasing to the eye. Eileen Bergen: Shells, glorious shells! Tammy Powley: Is it better in the Bahamas? Welcome to Spring Fever month!